ADVENTURES OF A FOOD TRUCK: OLÉ GUACAMOLE! Olé Guacamole! We’re back on the road once again with Marcus and Katie and this time they’re on the hunt for the best guacamole in town. 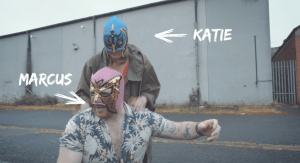 Unperturbed by the drizzly weather, they don Mexican wrestling masks, hop in the in food truck and head to K Chido in Stoneybatter. 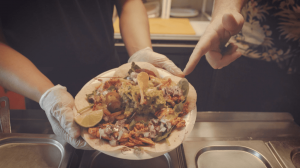 K Chido is another humble food truck, a funky, vintage Citroen HY to be exact, and they specialise in cooking up some of the finest Mexican street food in Dublin and their guacamole is no exception. 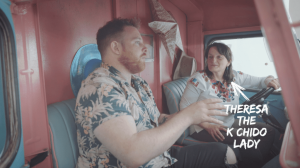 As they set off in the food truck, Marcus realises that the Mexican flag is really an Irish flag with a tattoo, what with the eagle standing on a cactus while eating a snake! Happy with this thought they mosey on into the K Chido food truck and discuss all things guacamole with Theresa the K Chido lady. K Chido’s guacamole recipe boils down to a few simple steps; mash the avocado with a fork, not a blender, add salt, chili flakes or fresh chopped chili, then tomato, onion, and coriander which makes up ‘pico de gallo’ the classic Mexican salsa. 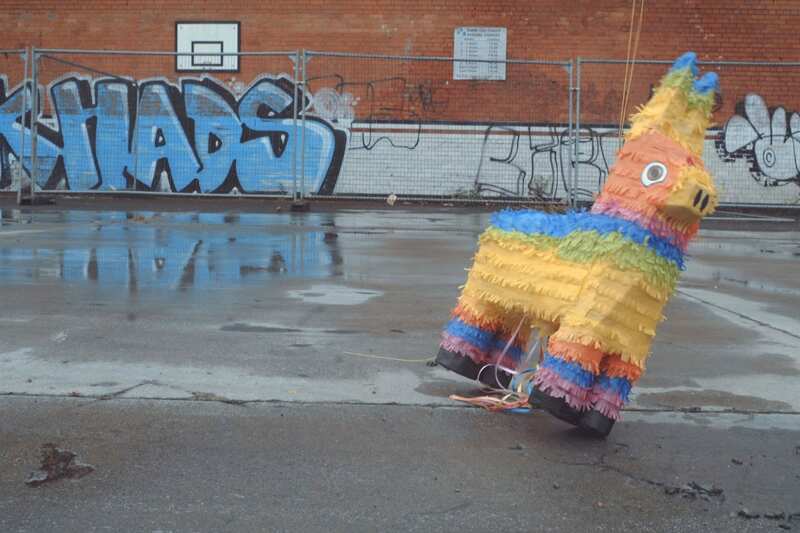 As the pair wait for the avocado to thaw they head to the fruit and veg market to procure the rest of their ingredients, all the while followed by a diligent mariachi band. Marcus, struck by yet another realisation, tells Katie the avocado is, in fact, a seeded berry and with the tomato also being a fruit, guacamole is actually a fruit salad! Needless to say, he blew Katie’s mind. Next hot topic was chilies and how many to add to the guacamole. As Katie admits to having a small fear of the chili, Marcus bites into one and sure enough, his eyes start streaming and while turning fifty shades of red he exclaims “This one is spicy!”. Once recovered the pair dish up the guacamole with meat tacos. Satisfied their guacamole lived up to expectations, Marcus and Katie don their Mexican wrestling masks once again and plough through Marcus’ cardboard box wall. A Mexican Drive Thru – the perfect ending to Marcus’ and Katie’s food adventure. Olé! 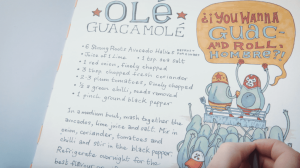 And if you found their guacamole recipe appetising, take a look at the recipe below and try to make it at home! Defrost the avocados for two hours. Once defrosted mash the avocados in a medium bowl, add the lime juice and salt. Mix in the onion, coriander, tomatoes, and chili, stirring in the black pepper. Refrigerate overnight and serve.